We are at the top of our game when it comes to providing you with top notch paving services. We offer a wide variety of paving services to make sure we can meet your needs. Allow us to turn the dreams you have for your landscape into reality. Want to enhance your backyard or attract customers to your commercial building? Do you have dirt surrounding your property you wish to have paved? 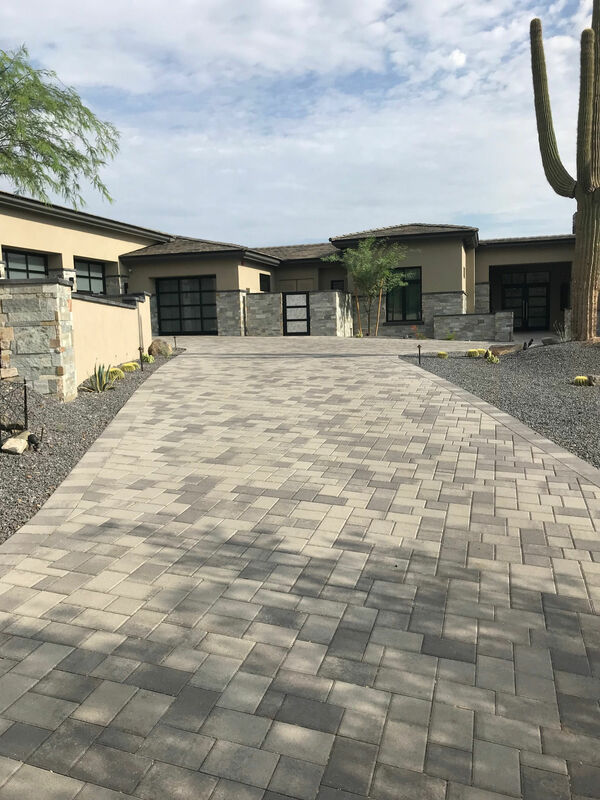 At Sonoran Pavers, our team has more than two decades of paving experience and provides some of the most comprehensive paving services in the area. 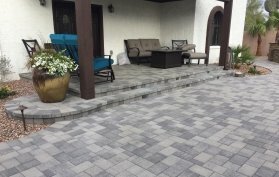 We offer a variety of pavers to meet all your paving needs, as well as paving professionals who can utilize nearly any type of paver to build an outdoor masterpiece. To request additional information about our services, please call (602) 326-5004 today to speak with one of our experts. Pavers can make a world of difference in your backyard, front yard, or throughout your commercial property. They not only enhance the overall look and feel of your property, but can increase its overall value, as well! From walls to walkways, we offer a variety of paving-related services. Regardless of the size of your property and your budget, we at Sonoran Pavers can make your hardscaping dreams a reality. We work hard and quickly without compromising the quality of our work so you can have your yard back to normal within a reasonable amount of time. If you need help selecting which pavers are best for your budget and style, our team can assist with that aspect, too! Don’t delay turning your backyard or commercial space into an oasis. To ensure you get the ideal products for your property, our professional pavers can provide you with a free consultation to discuss your ideas and create a design plan for you. Contact Sonoran Pavers at (602) 326-5004 for more information!